At Affix Windows, we supply and install a range of exceptional roofline services for home improvements in Sidcup, Dartford, Blacken, Bexleyheath, Bromley, Chislehurst, Welling, Kent and London. 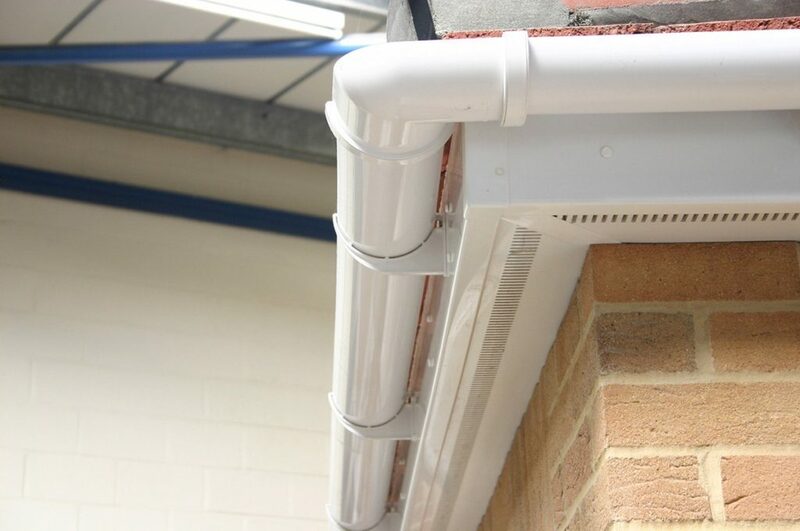 Our fascias, soffits and guttering meets the highest standards and offers a great long-term investment. Our collection of roofline services is superb and is a great choice for your home in Sidcup and Dartford. The fascias, soffits and guttering are crafted from high-grade uPVC and they come in a variety of finishes to ensure that they blend in with your property. The roofline is an essential part of your property, protecting your home from the elements, and creating kerb appeal. Our fascias, soffits and guttering options are hard wearing, and easy to maintain too, ensuring they look fresh and appealing year after year. They are specifically manufactured for durability and strength, able to deal with the inclement British weather. Fascias are the boards which run along the edge of your roof. They are there to support the tiles on your roof and they carry the guttering. High-quality fascias are a vital part of your roofline, as they carry immense weight in downpours and they help to stop water ingress. Quality fascias are important to ensure your home is protected from the weather. They may seem like a simple part of your roofline, but in fact, they perform a variety of roles to keep your brickwork at its best. Soffits are the section of your roofline which is seen when you look up at your Dartford home from the ground. 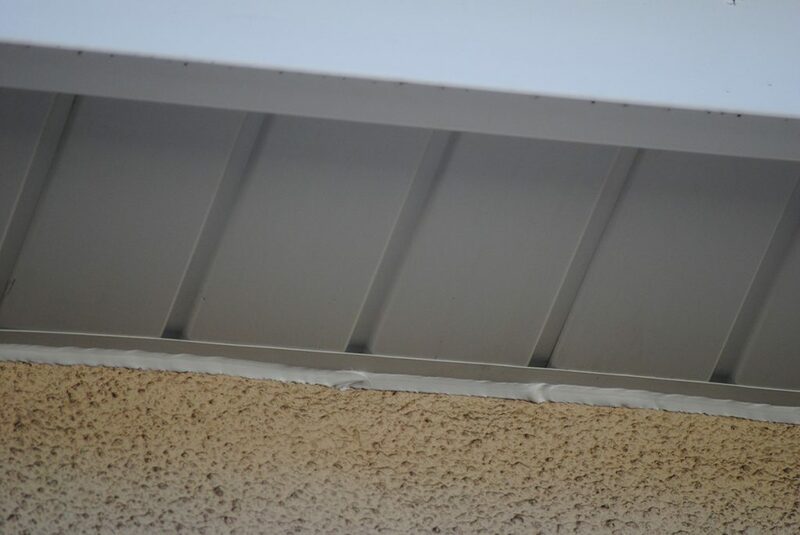 Soffits are generally ventilated, and this allows air to circulate within your roof space. This is an essential performance feature, as it helps to eliminate damp, protecting your timber roof joists. Soffits also give the neat finish to your home that passers-by notice, adding to its kerb appeal and making it more attractive. Cracked, leaking guttering will make your walls wet, and could lead to issues which require expensive and disruptive remedial work. 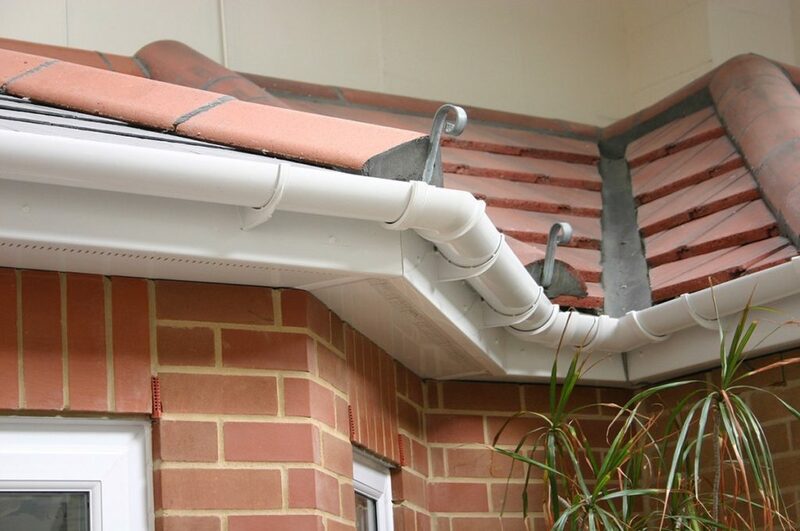 Quality guttering needs to be robust and durable as, for example, just one inch of rain falling onto an average 3 bed home will result in around 500 gallons of water flowing through the gutters. At Affix Windows, all of our double glazing and products are exceptional, including our roofline. 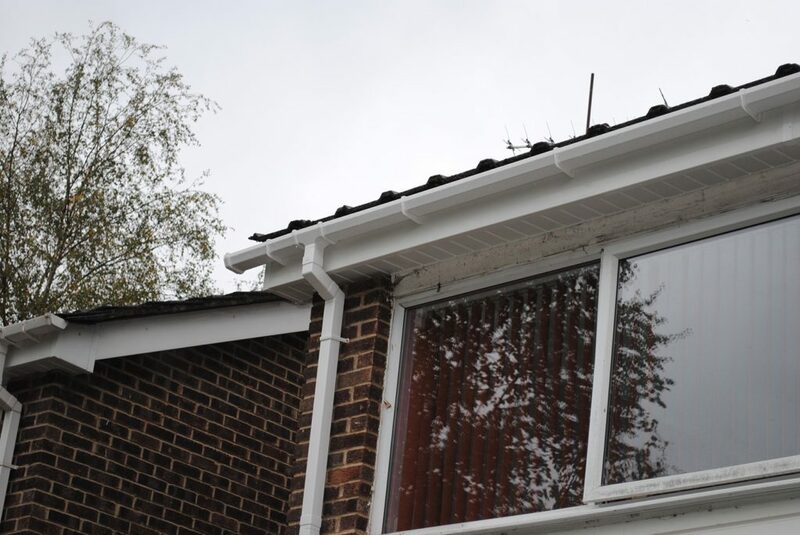 The fascias, soffits and guttering that we install meets the highest quality standards and will help you to protect your home internally and externally. We also offer tiled conservatory roofs and aluminium roof lanterns, for the ultimate roof revamp. Our fascias, soffits and guttering come in a number of finishes to complement the architecture of your property, blending in with style. Roofline products from Affix Windows in Kent & London are specifically chosen for their durable features, giving you many years of superior performance and home improvements that you can trust. You will benefit from your roofline looking fresh and stylish year after year with the bare minimum of maintenance required. Affix Windows are home improvements experts, and our installations meet the highest standards in every way. We are accredited by FENSA and approved by Which? Trusted Traders to ensure you can count on the professionalism and quality we offer. 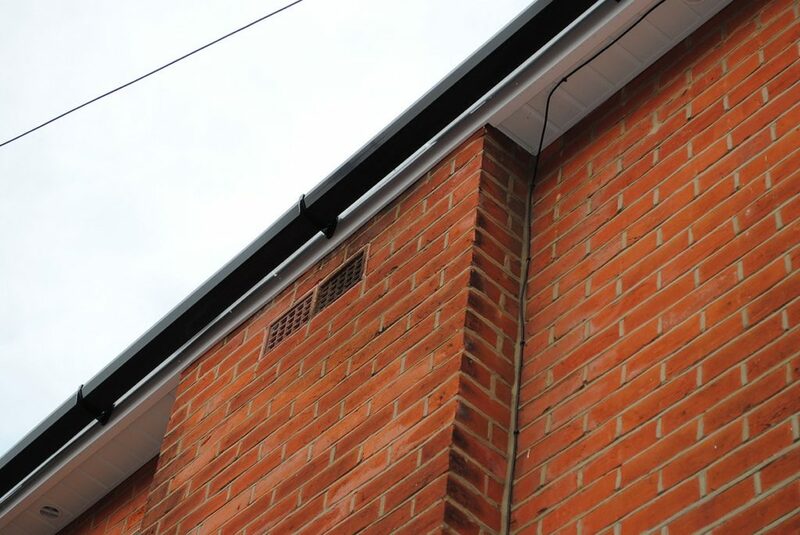 We will make sure that the installation of your new fascias, soffits and guttering in Dartford is perfect and we create as little disruption as possible. Upgrading the roof trim of your home has never been so easy. Fascias, Soffits and Guttering Prices in Dartford, Kent. Fascias, soffits and guttering prices in Sidcup, Dartford, Blacken, Bexleyheath, Bromley, Chislehurst, Welling, Kent and London are superb at Affix Windows. We offer outstanding products at affordable prices, with the benefit of cost-effective performance in the long term. We are more than happy to help you with roofline quotes and information for your home improvements. Simply contact Affix Windows, and we will book you in with a surveyor who can assess your requirements. They will talk to you about the choices available and will then provide you with an accurate guide price for your fascias, soffits and guttering in Dartford, Kent and surrounding London areas.